Pulse Energy is returning for the fourth time as the Swim Guide sponsor for New Zealand. The most current recreational water quality information for over 700 New Zealand swimming spots is accessible from the Swim Guide smartphone app and website thanks to Pulse Energy, a community owned electricity and gas retailer. In 2014, Pulse Energy brought Swim Guide to New Zealand, as part of the company’s contribution to the environment and local communities. Gary Holden, Pulse Energy’s Chief Executive Officer, and long-time Swim Drink Fish Canada supporter, spearheaded the move. Swim Guide has increasingly grown in popularity. In addition to sponsoring Swim Guide, Pulse Energy staff manage the daily water quality updates for all of Swim Guide’s New Zealand beaches. Swim Guide’s New Zealand water quality data is based on test results from recreational monitoring programs run by each of the country’s 16 councils. Thanks to their efforts finding a great, clean place to swim is made easy for locals and tourists. No country in Swim Guide has experienced as much growth in 2017 as New Zealand, which saw a 300% growth in users. 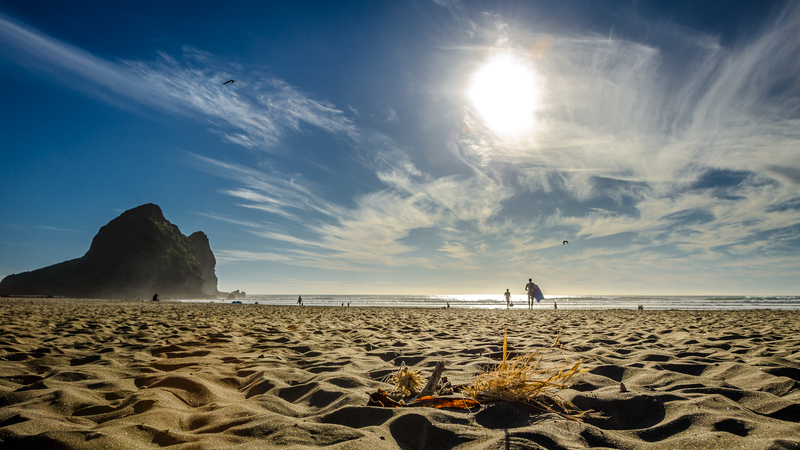 There was a massive 1,018% increase in visits to New Zealand beach pages in Swim Guide this year. Pulse Energy is committed to looking after New Zealand families. Making the most up-to-the minute water quality information easy to access and to understand will help Kiwis and tourists alike avoid sickness from swimming in contaminated water. Support from Pulse Energy helps Kiwis make better choices about where and when to swim. Pulse Energy’s support also helps Swim Guide share important information about making everyone’s beach visits safer, more memorable, and more fun! Swim Guide is a website and smartphone app that helps people find great places to swim, and keeps them informed of the latest water quality monitoring results so they can avoid swimming in contaminated water. Swim Guide has over a million users to date. Swim Guide was created and developed by Swim Drink Fish Canada, a non-profit based in Toronto. Swim Guide app and Swim Guide website (www.theswimguide.org) contains over 7,000 beaches across Canada, the USA, Mexico and New Zealand, Australia, and the Bahamas. The Swim Guide 3.0 iOS app is free, and can help you find the best beaches. The iOS app is available in English, French and Spanish. Swim Guide is also available for free on the web at www.theswimguide.org or as an Android app. The Swim Guide website is available in French and English. Swim Guide shows you which beaches are closest to you, and popular beaches nearby. Swimming season in New Zealand runs all summer, from late November to March. Visits to Swim Guide’s New Zealand beaches increased by 1018% from 2015-16 to 2016-2017 swim season. Pulse Energy is a community owned, electricity and gas retailer, servicing over 65,000 customers throughout New Zealand. Pulse promises refreshing, straight forward, peace of mind electricity supply to all customers. Pulse believes in transparency and that includes being honest and open about our pricing and offering product choices tailored to meet all customer’s’ requirements. Pulse Energy is the official Principal Sponsor of the Pulse Energy Highlanders. To find out more about New Zealand’s recreational water quality monitoring protocol for fresh and marine water click here.